Existing Collaborations: Which Education Levels Are Most Common for Different Collaboration Types? AACSB International’s member schools often report various types of collaborations with other educational institutions to provide their students and faculty with additional opportunities. Some of these collaborative efforts focus on faculty exchanges or research; others help schools find ways to share resources; and some of the most visible collaborations focus on the student experience from student exchanges to more complex efforts like full dual degree programs. As part of AACSB’s ongoing initiative to learn more about how schools collaborate to best leverage the resources available, the annual AACSB Collaboration Survey collects data on both any collaborative agreements currently in effect and those areas where schools desire to expand with new collaborations. Each existing collaboration reported may include more than one collaboration type or collaborative partner in order to capture some of the complexities of the network of collaborations at AACSB member schools. The 2013–14 Collaborations Survey includes data for 474 schools. The data below reflect existing collaborations. For some collaboration types that involve students or degree program delivery, the education levels involved can be a key factor in describing the reach of the collaboration, so participating schools are able to select an education level where appropriate. Note: Existing Collaborations with no specified education level were excluded from this table. Each individual collaboration contains at least two schools and may include multiple collaboration types. 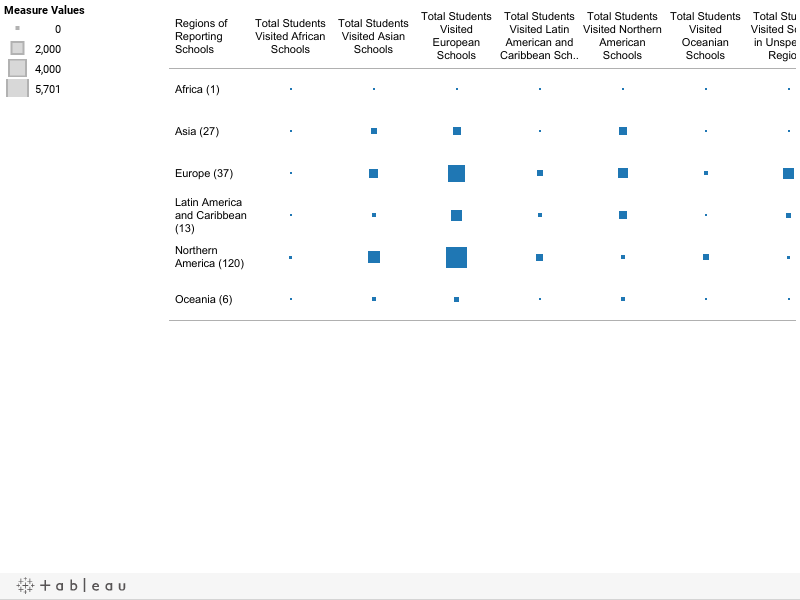 The education level for each activity type is independent of the education levels reported for other activity types within that collaboration agreement. Three of the collaboration types listed are most common at the Undergraduate Only level: Articulation/Twinning Agreements (53.6 percent), Study Abroad/Student Exchanges (42.2 percent), and Validation Agreements (42.5 percent). 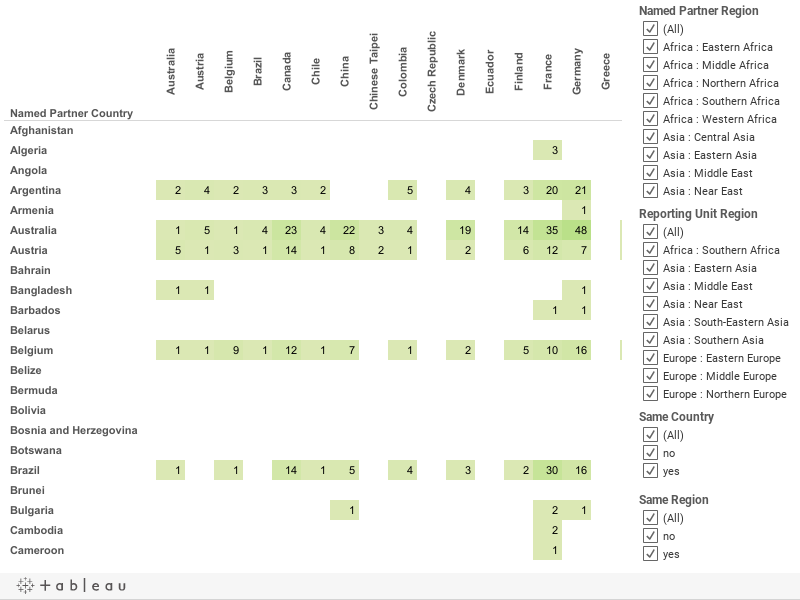 If we also include any of the multilevel agreements that contain Undergraduates, the data show that 78.4 percent of the Articulation/Twinning Agreements, 79 percent of the Study Abroad/Student Exchanges, and 67.5 percent of the Validation Agreements are available to students at the Undergraduate level for the reported collaboration types. At the Master’s Only level, Dual Degree/Multiple Degrees, and Joint Degrees are reported the most often with 59.4 percent of Dual Degree and 70.2 percent of Joint Degree Collaborations being reported as available only at the Master’s level. If the category is expanded to include any multilevel collaborative agreement that included the Master’s level, Dual Degree programs are reported as available at the Master’s level in 70.9 percent of the reported agreements, and Joint Degrees are available at this level for 76.5 percent of collaborations reported. While there were collaborations reported at the Doctoral level for each of these types, Doctoral was not the most common level reported for any specific type. Across all collaboration types listed as available at the Doctoral level, Joint Degree (16.7 percent), Validation Agreement (15 percent), and Franchise Agreement (14.6 percent) were the most common. Note: The 2014–15 Collaborations Survey is now open for data entry. AACSB member schools that participate in the survey are featured within theCollaboration Concourse, and the survey overview reports and benchmarking tools for existing and desired collaborations are available as resources for all AACSB member schools. Does AACSB Accreditation Matter When Forming Collaborations? Recently, I’ve been doing some deeper analysis of the data from AACSB’s most recent Collaborations Survey in support of our upcoming Management Education Forum on Developing High-Impact Collaborations. While doing so, I noticed that there were significant differences between AACSB-accredited reporting schools and reporting schools without AACSB accreditation in the proportion of partnerships with other schools by accreditation status. Source: AACSB International Collaborations Survey 2010-11. Note: This chart does not account for the 45 reported partnerships with non-business academic units or non-educational institutions, for whom accreditation is not applicable. As a reminder, partnerships in the context of our survey denote a one-to-one relationship between two institutions involved in a collaboration. A reporting school can have one or many partnerships within a single given collaboration. As you can see, nearly 45% of all partnerships reported by AACSB-accredited schools were with other AACSB-accredited schools. By contrast, less than a quarter of the partnerships reported by schools without AACSB accreditation were with AACSB-accredited schools. There are a number of different reasons why this difference might exist. AACSB-accredited schools may desire (or simply have the ability) to exercise greater discrimination in their choices of whom to collaborate with. After all, if your partner is also accredited, there is less need to be concerned about whether they can deliver the same level of quality on their part of any collaborative arrangement, so allying with another accredited school may be more attractive as a result. Source: AACSB International Collaborations Survey 2010-11. Note: This table does not account for the 45 reported partnerships with non-business academic units or non-educational institutions, for whom accreditation is not applicable. More than 80% of all partnerships reported by AACSB-accredited schools involving Articulation/Twinning, Franchise, and Validation Agreements are with partners that do not have AACSB accreditation. This makes sense, of course, because accredited schools are much less likely to have need of AACSB-accredited partners for these types of collaborative activities. On the other hand, when it comes to partnerships involving Joint Degrees, Non-Degree/Executive Education, and Shared Resources, AACSB-accredited schools show a clear preference for partners who are likewise AACSB-accredited. Globalization is all the rage in higher education these days. Among the many different means by which higher education institutions may seek to broaden their global footprint, however, none is as attention-getting, resource-intensive, or demonstrative of commitment to globalization as the establishment of an international branch campus (IBC). According to the latest report from the Observatory for Borderless Higher Education (OBHE), the number of IBCs around the world continues to grow, though the pace of institutions establishing IBCs has slowed somewhat from where it was earlier this century. OBHE has identified 200 IBCs worldwide as of the end of 2011, with at least 37 more under development. Source:AACSB Collaborations Survey 2010-11. Note: This chart is corrected for mistakes in reporting, and null responses were considered negative. AACSB's World Region Classification System, which is based on that of the United Nations, explicitly makes no official endorsements regarding the countries and territories listed, either geographically or politically. Out of the 309 AACSB member schools that reported data on the latest iteration of the survey, 49 reported at least one campus outside their home region. Of these, 15 reported having a campus in multiple regions outside their home region. Taking these data in conjunction with those of the OBHE, AACSB member schools account for at least 43% of all currently extant IBCs in the world! This percentage is likely even higher, given that only 309 AACSB members (out of our current total of 1271), have so far reported their data to the Collaborations Survey. A number of those who have not are known to have one or more IBCs. It is important to note, however, that establishing IBCs is not necessarily the best approach to embracing globalization. There are a whole host of factors to be considered before establishing, and while operating, an IBC, in order to ensure that a school is taking into account what is best for its stakeholders, particularly with regard to maintaining equivalent quality. As we here at AACSB took pains to point out in the case studies within our recent report, Globalization of Management Education, no one approach to addressing the issues surrounding globalization is best (or even feasible) for all schools. Nevertheless, with more and more of our members beginning to establish IBCs of their own, maintaining quality management education across international campus networks will necessarily become increasingly important for AACSB. *Edited May 3, 2012: An earlier version of this post gave the total number of business schools contributing data to the Collaborations Survey as 308, rather than the accurate total of 309. Source: AACSB Collaborations Survey (2010-11). Among the 308 total schools that contributed data to the latest iteration of the Collaborations Survey, strong majorities affirm offering all ten of the internationalization opportunities asked about in the survey, which I see as a positive indication that business schools are taking seriously the need to prepare their students for business leadership in a globalized world. Still, it is evident that some means are more broadly considered useful than others to this endeavor. For example, approximately 89% of respondents reported offering short-term trips abroad for academic credit, while only 59% reported offering them in a non-credit capacity. Clearly then, the business schools who responded to the survey more strongly favor giving credit for the educational experience inherent in short-term trips abroad. Study abroad opportunities for students were easily the most popular of the ten types, with 95% of respondents reporting that such opportunities were available at their school. This makes sense, given that such opportunities are relatively easy to arrange and execute compared to other types. Indeed, study abroad/student exchange was an element of 88% of the 5,513 total reported collaborative agreements in the survey, and the sole element of nearly 66% of all reported collaborations. Internships abroad and (seemingly despite the attention that such programs typically receive) joint/dual degree programs were among the least commonly reported opportunities in the survey, with 72% and 62% of respondents affirming their use, respectively. This, too, makes sense, given that these types of international opportunities require much more in the way of resources, logistics, and long-term commitment than many of the others above. Nevertheless, this represents a rise of nearly 5% (in the case of internships) and 7% (in the case of joint/dual degree programs) from the results of the 2009-10 Collaborations Survey. Other evidence also suggests that growth in collaborative degree programs may be a trend worth watching.